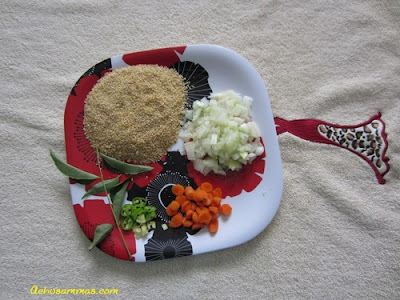 · Heat a pressure cooker add oil,add mustard seed,when mustard seed start to popping add onion,curry leaves,salt,green chilli,ginger and sauted for 5 minutes.Add turmeric when onion become transparent. · Add soaked wheat,carrot to the pressure cooker put the lid and cook for 3-4 whistles in a medium heat. 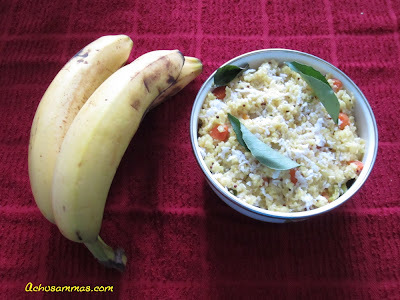 · After removig from the heat open lid and finally garnish with grated coconut.